BUYER’S MARKET? : If you’re owner/operator material, the time may be right to take the plunge. 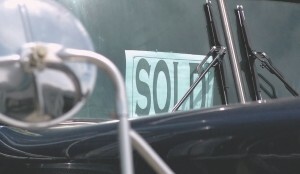 BUYING USED: A used truck can be a lucrative investment for an owner/operator, if you do your homework. A CLOSE LOOK: Truck mechanic Ron Martin suggests giving a truck a thorough inspection. TORONTO, Ont. 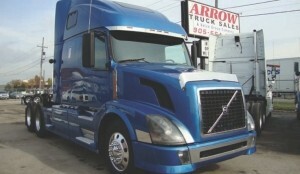 –Used truck prices have never been lower. If you can find the work, or have your eye on a carrier where you’d like to hang your shingle, this might be the best time to jump into truck ownership. So go ahead and dream. Make up a wish list and see if you can find the sweetest rig in the world. But once you’ve found that ideal vehicle, you’ll have to grapple with getting a loan to buy it. Don’t be surprised if the truck you’ve picked is too dear for your present situation. First-time buyers are often dazzled by the glitter and can get sucked into buying too much truck, or options they don’t need. Your first truck has to be a workhorse. The extras are nice but they shouldn’t influence what you’re willing to pay. Another mistake is not spending enough on a truck. Would-be truck owners see a bargain in an older truck but don’t count on expensive repair, towing, and downtime costs that could potentially sink a new business. Before you buy, it’s imperative to know how much it’s going to cost to run, and how hard you’re going to have to work to pay for it. That’s why it’s recommended first-time buyers have a couple years’ experience under their belt before taking on owner/operatorship. Gone are the days when you could drive away from a dealership putting 0% down or less. These days a 15%, or more likely a 20%, down payment is pretty standard. You might be able to do better, depending on your credit rating but the cards are stacked against a young man or woman just getting into the business. When applying for a loan so much depends on your credit rating, your age, your years of experience in trucking, and home ownership certainly helps. But do take advantage of a dealership’s financial department. The financial advisor can also school you in the fundamentals of truck ownership, and what it will take to keep your head above the water. We’ve all seen powerful trucks doing embarrassing jobs: big iron shunting containers in a drop yard, or an 18-speed with a double bunk picking up recycling bins. One Saturday night I covered a friend’s bread run. He’d just bought a monster with 500 horses and a bunk the size of my kitchen. 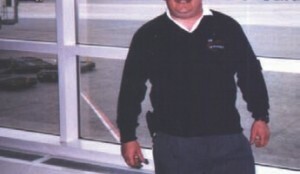 His contract involved making deliveries to grocery stores around eastern Ontario, but the loads were never more than 20,000 lbs and usually averaged 12,000. The truck pulled great but was really unsuitable and unnecessary for the task -the fuel gauge would drop while you watched it and the elongated nose and big sleeper made it difficult to back into tight spots. He could have gone with 325 horses and still had power to spare. Do you know what you want to do with the truck? 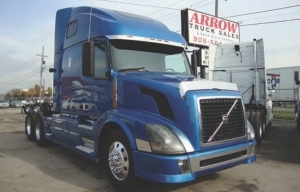 Most serious carriers require O/Os to have units no older than five years, and dealers will often suggest you find the job first and then come looking for a truck. Be sure to read the specification sheet carefully and find out exactly what the truck you’re buying has in it, including rear-end ratio, transmission type and registered axle weight. If you’re doing tanker or deck work, you’ll want a tractor with a 51-inch fifth wheel height as opposed to the 47-inch standard for dry vans. Most highway drivers prefer 10- or 13-speed transmissions. Automatics are fine and getting better but I might shy away from one with a lot of kilometres. If you’re hauling heavy or working in the bush you’ll want something with lots of gears. And why get a sleeper if a day cab will do? Unfortunately there are fewer day cabs around than sleeper units, and the operators tend to hold onto them longer. City trucks will have a lot fewer kilometres, have suffered more hard knocks, and have way more idling time on their engines. But a well-maintained city tractor can be functional for better than a decade, just look at the Louisvilles still kicking around. First-time truck owners hauling general freight usually need something mid-range with a sleeper that can pull up to 80,000 lbs GVW. Fuel mileage is critically important. So all the better if you were to find something aerodynamic. But beware -the lowest price is not always the best deal. Nevio Turchet, used truck manager for SelecTrucks Toronto, suggests first-time buyers should be thinking about spending around $50,000 for a used truck. When it comes to engines, everyone’s got an opinion. It doesn’t matter if you’re a Cummins, Detroit, Volvo or Mercedes fan, there’s a new zeitgeist concerning fuel mileage and smaller lightweight engines are in style. However, many operators still prefer big engines with lots of power. “Typically, guys running the highway would want at least a big block 475 hp,” says Grant Wilkinson, used truck manager at Kenworth Truck Centre Toronto. “Caterpillar manufactured a very fine engine -the 430-hp C13 that puts out 1,550 torque pounds and is 700 lbs lighter,” he says. “That’s 700 lbs more freight you can put on and you’ll get better mileage, too.” Cat has discontinued making these engines but Wilkinson expects parts will be available for a long time to come. Whether you choose to buy from a dealer or purchase a unit privately, it’s good to take someone along when you go shopping. Another set of eyes and ears could keep you from making a decision you might regret later. First-time buyers often get blinded by chrome. One has to be doubly careful when buying a used truck privately. Truck mechanic Ron Martin explained that checking out a truck is like doing a very thorough circle check. You’re looking for problems that may sneak up and bite you later. Martin thinks you can tell a lot about the condition of a truck by the way it’s been treated. He’s seen trucks only a few years old where the floors were starting to rot out. “If there’s an interior light out and the seller tells you it’s just a burned out bulb, it might be the truth and it might not. Pop off one of the connectors in the back of the tractor and see if the terminals are green. If they are then you could have a wiring problem that may cost you thousands down the road in repair and downtime costs. Any small item should be fixed before you buy it,” says Martin. e. But a person selling a rig privately will have probably just changed the oil and you won’t get an accurate reading. However, most dealers accepting a trade-in or buying a used truck may already have taken an oil sample and already had the analysis done. A dealer might also let you make the sale conditional on a positive oil analysis after the truck has been driven under load for several thousand kilometres. Don’t be afraid to ask for a print-out of what the engine has been doing (a dealer should be able to supply this).This is a download directly from the black box and will tell you how many hours the truck has on it, how much idling it has done, and the fuel mileage it’s been getting. A high idle-to-drive ratio makes a truck less attractive. That’s why used trucks with bunk heaters or APUs are more coveted. If you don’t have an APU on your tractor, you might want to think of installing one soon after purchasing it. While writing this article, I talked to a lot of knowledgeable people. But the most meaningful discussions I had were with owner/operators who had made the successful transition from driver-for-hire to truck owner. Elwood Rines is one such example. 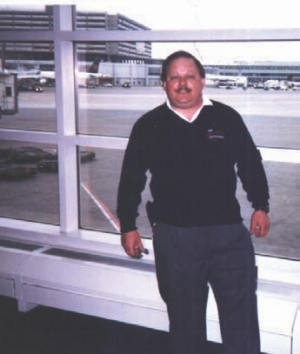 His first truck was a 2002 Volvo 770 that he had been driving on behalf of an owner for Highland Transport. The owner wanted to get out of the business and Rines was faced with the decision of becoming a company driver or jumping into owner/operatorship. Rines did his homework. He carefully charted out all the expenditures and revenues incurred by the Volvo during the last two years. He also shopped around for other trucks. 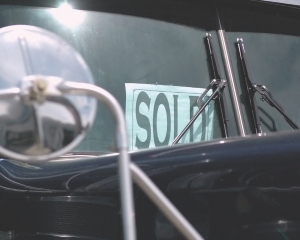 In the end he bought the truck he was driving, paying the unit off through his line of credit. These days, he’s a broker for Bison Transport and traded up to a 2009 Volvo. But he put 800,000 miles on the original 2002 and logged a lifetime 6.5 miles per gallon. More importantly, he made money on that tractor.